And now for my project! This GROOVY title is one of the FREEBIES!! This is so COOL! I LOVE the bright colors! Looks awesome! Love this card, looks like back in the hippie days! Flower children! I love this! You did a great job! Awesome! This reminds me of tge Brady Bunch. Love it! Beautiful. All my favorite colors. Candace, this card would be so perfect for my sister who grew up in the 60's. I love it. LOVE IT!! I will have to make it this weekend!! What a "Groovy" birthday card. Love it. I have a granddaughter that this will fit perfectly. may have to case it. This is fab! I love the colors and design!!! Feeling Groovy! Takes me back to my childhood... in the 60's ... I was a little young to be a flower child .. but I love this card! Love the color combo! My first thought when I saw you card "I was made fore dancing"... Now I wont be able to get the song outta my head. So neat! Love the colors for that "groovy" vibe. Very nice! Brings back memories. wowwww !!! me encanta !! what a groovy project love the colors. Takes me way back! Your colors are perfect. Great card! Love the bright colors and flowers. This brings back wonderful memories! Love it! Great card! Love the flowers and colours. This is a great card! I love all the fun colors. Great design to kick off the blog hop! 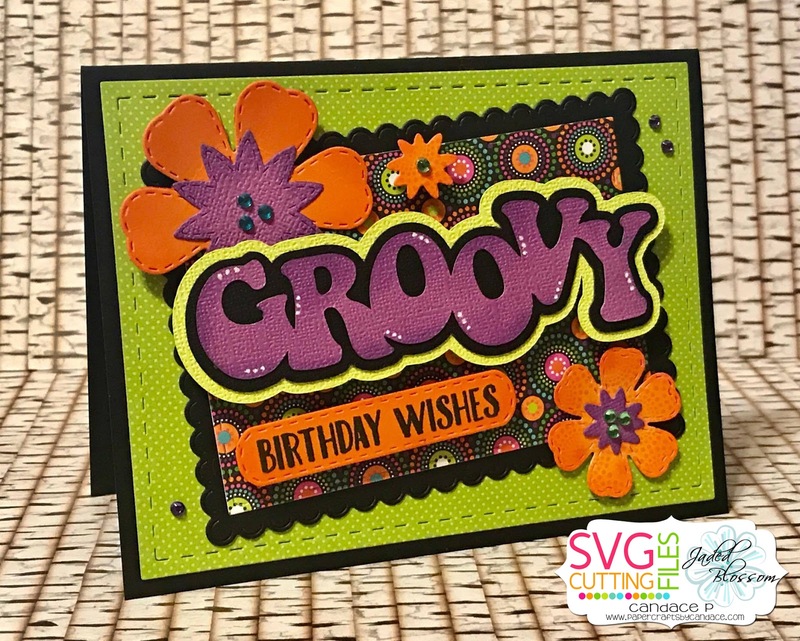 Love the "groovy" vibe! love to see something different.